Showcase of ABC Accelerator’s fifth generation of startups open to potential investors • BTC d.d. 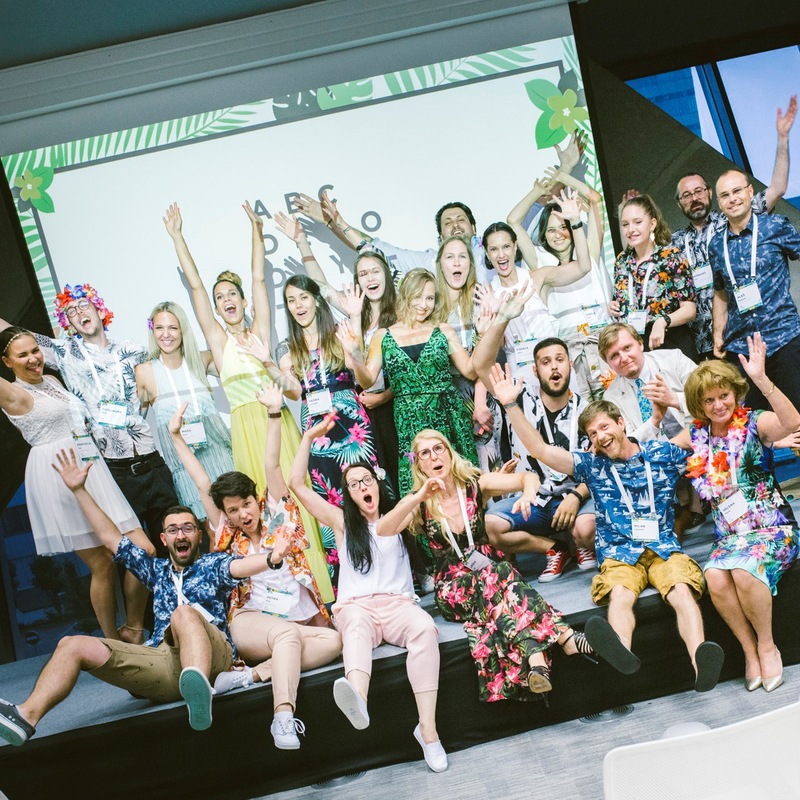 Ten startups presented their innovative business solutions to more than 350 event participants as well as a couple of thousand viewers online, including those in ABC’s premises in Munich, Kiev, and Silicon Valley. The Demo Day represents the closing event and the pinnacle of the three-month-long startup programme aimed at accelerating products and services. Since the intention is to showcase products open to potential investors, it is full of mixed emotions – anxiety, stress, but also joy and happiness after the presentation is done. Out of the 21 startups that participated in the programme, ten had the opportunity to present their solutions at the event: Slovenian startups Melon & Lime, Taia, Semaforum, Sleepy bottle, SnapGuest, and Codebrainer, the mixed American-Slovenian team Bare Peak, Octopull from Chile, Stormborn Studio from Italy, and Videobolt from Serbia. Dejan Roljič, founder and CEO of Acceleration Business City, opened the event by thanking its loyal partners, including BTC, Zavarovalnica Triglav, EnaA, Petrol, and Telekom Slovenije. He emphasised the importance of a good business partner, especially right at the beginning of a given enterprise. Together with Urška Jež, co-founder and CEO of ABC Accelerator Ljubljana, they also presented partners and participants with a couple of awards. This time, the award for best partner went to Zavarovalnica Triglav, whose team is also part of the ABC Enterprise programme and is already working on two new products. The ABC Enterprise best mentor award went to Ernest Žejn and the best lecturer award to Pier Francesco Geraci, as voted by the participating startups. Roljić concluded the event with the thought that ideas should be realised right away instead of being put off until tomorrow, and that it might just happen that you will not always be the best at something, but that it is therefore all the more important that you give it your best shot. Part of the event was also a panel on the particularities, similarities, and differences between Slovenian, Austrian, Czech, and Hungarian ecosystems. The discussion was moderated by the ABC Accelerator’s Jakob Gajšek, while guests included Eva Rez (Day One Capital, Budapest), Andrej Kiska (Credo Ventures, Prague), and Markus Lang (Pioneers Ventures, Vienna). All the startups will now tackle new challenges, as will the ABC Accelerator team, which is about to start preparations for its new and redesigned programme. In October they will welcome 10 of the best “Deep Tech” startups, who will work and accelerate for at least a month in Silicon Valley as part of the three-month-long programme. They will accelerate even faster than before as they focus on products pertaining to blockchains, artificial intelligence, big data, and analytics.